If you are struggling with injuries that seem to reoccur and persist, or if you simply want to get better at the activities you love, Matthew is passionately dedicated to getting to the bottom of your problem. Matthew will work with you to develop the most effective and practical strategies to get you out of pain and where you want to be whatever your health aims may be. Matthew was keen to enter a profession that would allow him to help people to gain the strength and skills they need to achieve their health and fitness goals. Although a range of career options could have helped him to fulfil this wish, like his brother Andrew, their father’s positive experience of attending a similar natural hands-on practitioner strongly influenced his career decision. Matthew loves the complexities of the human body, biomechanics and their clinical application through Osteopathy. Matthew trained as an undergraduate in London at The British School of Osteopathy, which is the largest and oldest osteopathy training centre in Europe. After practicing as an Osteopath for a period of time, he travelled to Michigan in the USA to undertake a postgraduate Fellowship in Applied Functional Science at the world-famous Gray Institute. After then working for a year in Canada, including the treatment of competitors in the Winter Olympics, Matthew returned to practice in the UK as an Osteopath and is a registered member of the General Osteopathic Council. Matthew is also full body certified in Active Release Techniques (ART). Matthew has worked with elite athletes, helping them with areas such as recurrent injuries and enabling them to enhance their sporting performance. Using ART and other techniques, such as Instrument Assisted Soft Tissue Mobilisation, Matthew is able to effectively manage conditions where patients have previously only been offered painkillers or surgical treatments. By helping clients to overcome the barriers that limit their health and sporting potential, Matthew aims to provide everyone he sees with the strategies they need to gain control of their problem. Therefore besides his work as an Osteopath, Matthew is able to provide advice on aspects such as exercise and nutrition to ensure his patients achieve the best results possible from their ActiveBacks treatment. 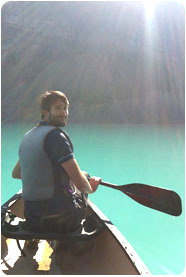 When not working, Matthew enjoys active pursuits with yoga, hiking and football being his favourite pastimes.